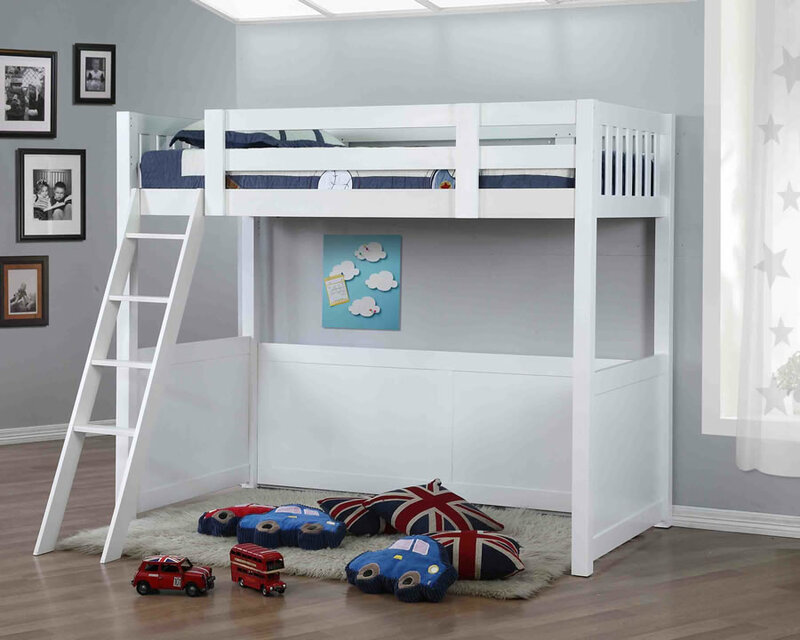 The Children's Furniture Company Willow Childrens High Sleeper Bed is waiting to transform your young ones' dreams. Available for shipping anywhere in the mainland UK, this Home and Office Store bed is quality, which should not be overlooked. The quality begins with the materials - real rubber wood painted thrice in white to prevent stains and nicks and keep the bed looking like its best. 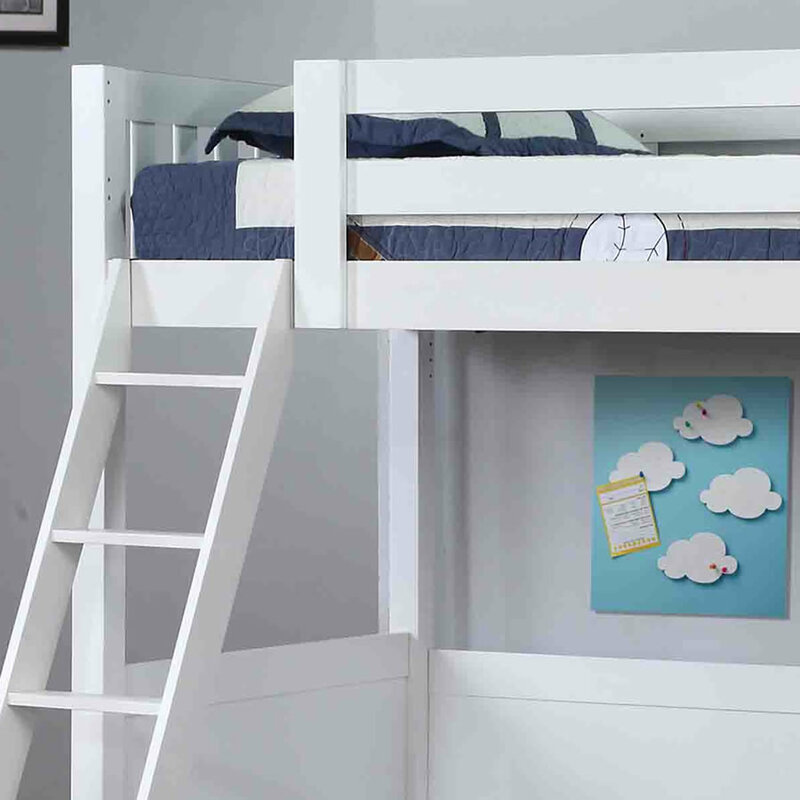 There is a guard railing built in and a three-step ladder which can be attached to the left or right side of the bed. 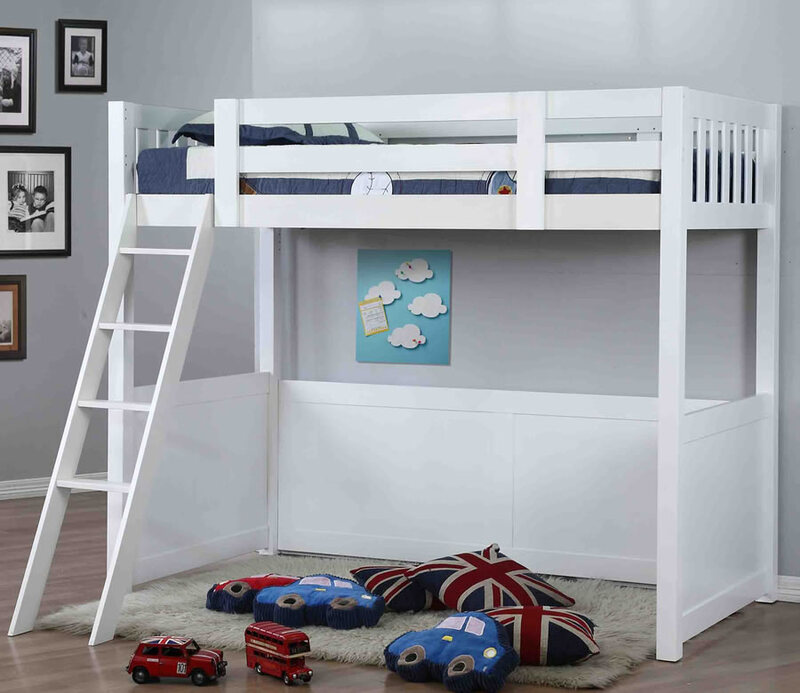 Additionally, underneath the high sleeper bed is an exceptional amount of room for play, storage, and more. Options which you can add from our inventory include extra beds in UK standard single, storage shelves, bookshelves, desks, and more. 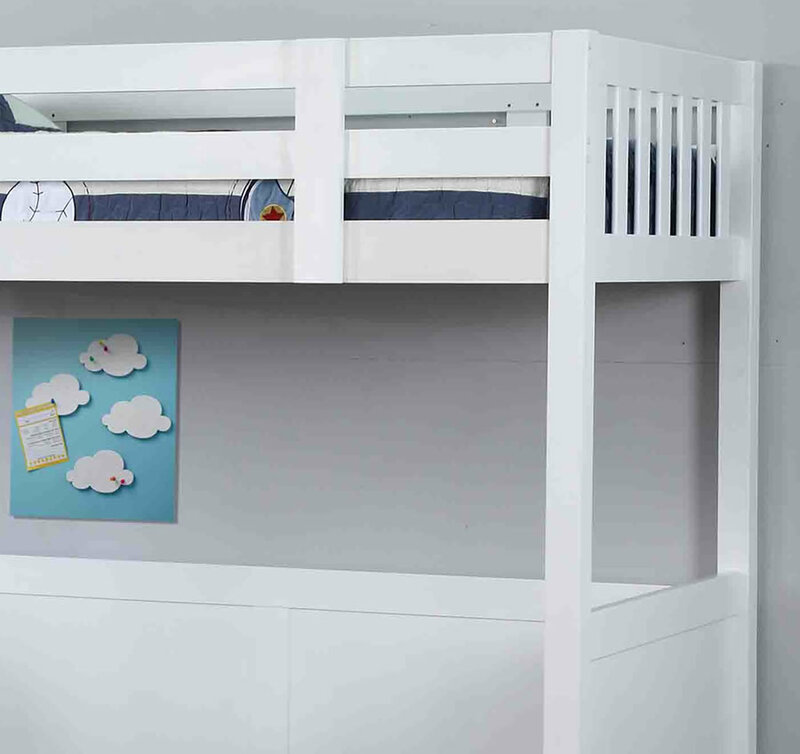 We have a virtually unlimited number of accessories and additional items in store to make the bed personalized and exactly what is needed in your child's room. Have fun trying different themes and styles and mixing and matching things up. 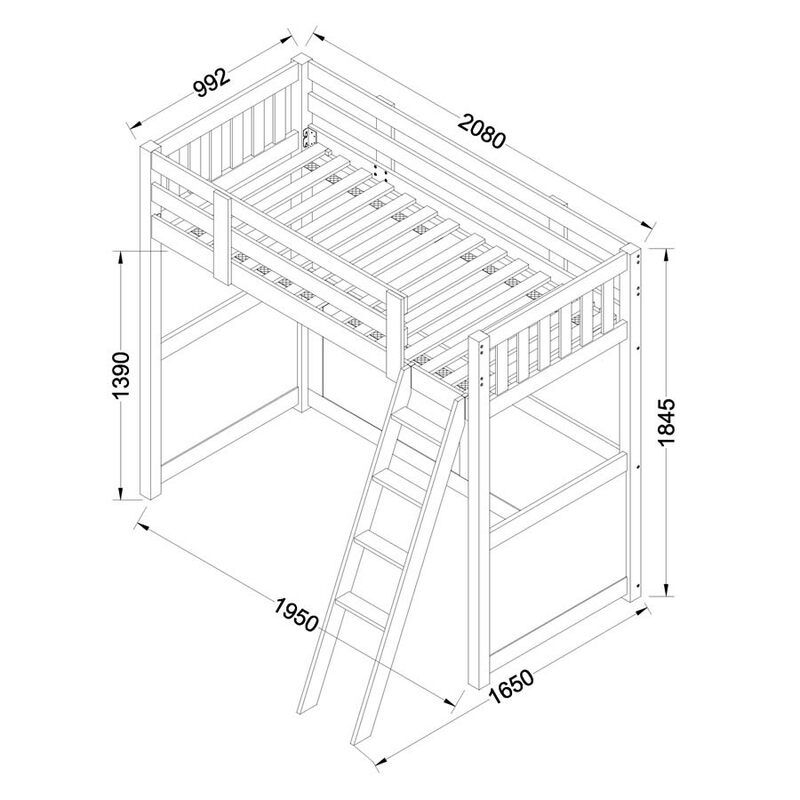 The dimensions are 99.2cm wide (with Ladder 165cm) x 184.5cm high x 208cm deep, and can fit a bookcase and second single bed perpendicular to the top bunk.